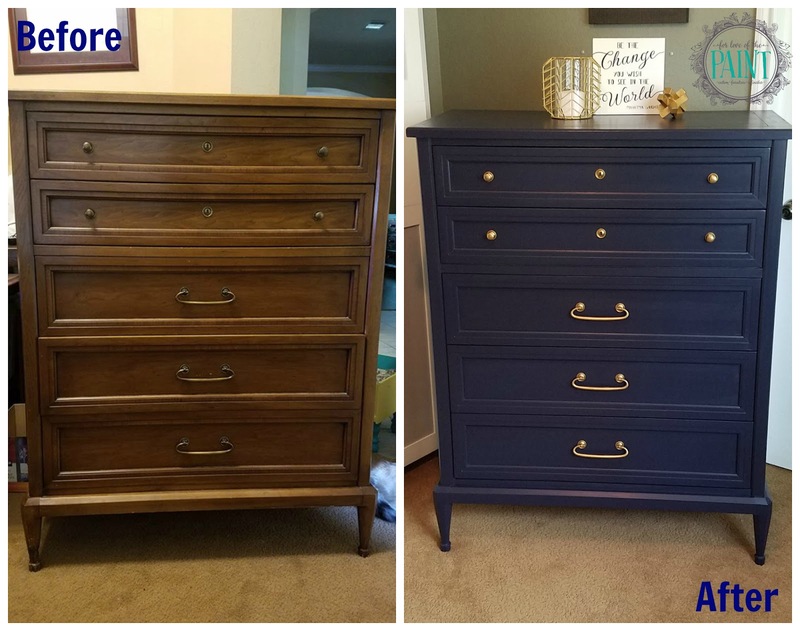 This gorgeous chest of drawers / dresser is a find that was sent to me by one of my fantastic furniture picker friends, and we fell in love with the shape immediately - especially the geometric legs! We decided to keep the color super simple and straightforward to showcase the classic MCM lines. 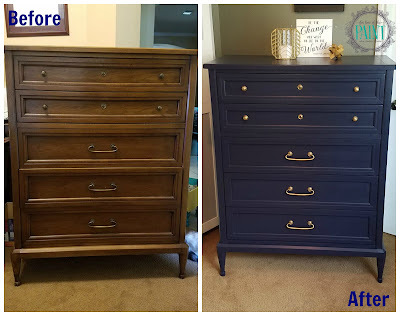 For that we chose General Finishes Milk Paint in Coastal Blue, a dark rich navy. The Coastal Blue finish paired with brightened gold hardware is effortlessly chic and oh-so-fabulously versatile. I love that it's out of the 60's, and into the timeless! What do you think?